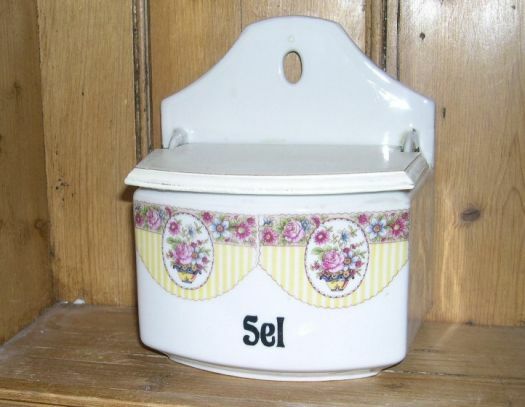 Nice porcelain salt box with floral pattern. Good condition, wooden lid has been painted. 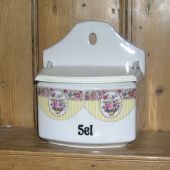 15,2 cm x 12 cm ; height : 17,2 cm.